Comprised of tranquil fields and farmland, a gentle coast and quite towns, when visiting Normandy today it is almost impossible to imagine the events of D-Day 75 years ago. 6th June 1944 saw the commencement of Operation Overlord, the largest seaborne invasion in history. Over 1,000 planes and 5,000 boats carried over 150,000 troops across the Channel to begin the liberation of Western Europe in World War II. Remnants of the Battle of Normandy remain to this day, and there are markings and monuments throughout the landscape to commemorate the momentous events of 1944. Each year the D-Day Festival programme offers a variety of events in tribute to the Allied forces who liberated France. There are over 80 events, from parades and walks to concerts, re-enactments and tours. But 2019’s event promises to be a very special anniversary. 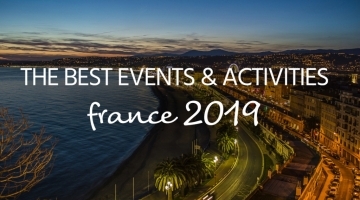 Hundreds of people will be taking part in a recreated airdrop, there are international commemorative events and the D-Day landing beaches have been nominated to receive UNESCO World Heritage status. 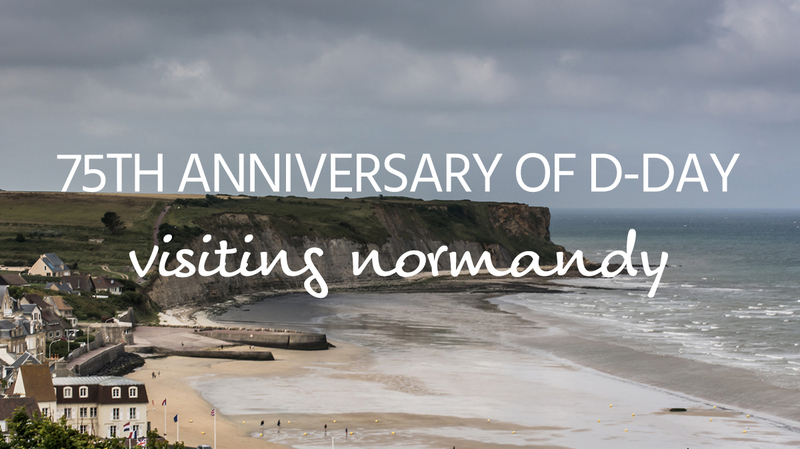 While the whole world will be remembering this anniversary year, visiting Normandy and the D-Day landing beaches in person is an unforgettable experience. Here is our guide to 5 of Normandy’s must-visit D-Day sites. 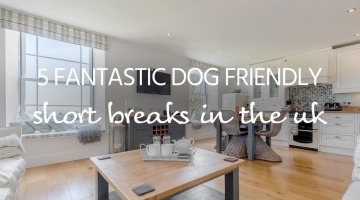 cottages.com offer lots of self-catering holiday homes in Normandy and Northern France. Search our site to find gites, villas and many more holiday accommodation options for the 75th anniversary of D-Day. Two years prior to the D-Day landings, Prime Minister Churchill sent a memo suggesting that if the ports needed for an invasion could not be captured, they would have to be built. So it was that the beach at Arromanches became the setting for Mulberry Harbour, piers and roadways that floated with the tide and enabled the supply of 2.5 million men, 500,000 vehicles and 4 million tonnes of supplies. Today to the Musée du Débarquement tells this remarkable tale, with its beachfront setting putting you just metres away from the harbour remains. As the beach at Arromanches was the landing point for hundreds of troops on D-day, so too is a good place to begin your own exploration of the events of June 6th 1944. The 9th Airborne Battalion parachuted in over the small town of Merville just after midnight on June 6th. After being scattered over the area, only 150 of the troops were able to meet up and begin their assault on the German gun batteries. This action is regarded as one of the most heroic of D-Day. The Merville Gun Battery museum of today is remarkably well-preserved, and offers an amazing illustration of what Allied forces faced on D-Day – as well as being a great visitor experience in its own right. Merville-Franceville-Plage is a tranquil location, offering timbered houses and a weekly market. Surrounded by sand, sea and a typical ‘bocage’ landscape of woodland, fields and hedgerows, the surrounding scenery is lovely to explore. The westernmost of the D-Day landing points offers a very special visitor attraction. Located on the beach, the museum offers a 10 step insight into the American beach landings. A rich collection of objects, vehicles, materials, and oral histories immerses visitors into the D-day operation. You can see a B26 bomber, one of only six remaining in the world and relive the epic experience of American soldiers through an award-winning documentary film. The museum’s beachside location and glass fronts put you at the forefront of history and ensure a D-Day experience like no other. Located on the clifftops overlooking Arromanches, the setting for the 360 degree circular cinema is not only the best place to get a bird’s eye view of the beach and harbour, but it’s also where you will find the most immersive – and one of the most moving – experiences of D-Day. Normandy’s 100 days is a 19 minute film that plays on 9 surrounding screens in the cinema. It is a moving tribute, comprised of unseen archival footage from around the world, and tells the complete tale of all 100 days of the Battle of Normandy. Ticket options are also available for visiting the Caen Memorial Museum and Memorial to Wartime Civilians in Falaise, giving you an unrivalled insight into D-Day and its aftermath. One of the most moving experiences in Normandy is a visit to the American Cemetery between Arromanches and Grandcamp Maisy. Its quiet and scenic coastal location, overlooking Omaha Beach, encourages peace and contemplation. As you witness near 10,000 white headstones pointed towards America, the bravery and human cost of the D-Day landings becomes very clear. A visitor centre tells the stories of courage and sacrifice of the Allied forces through photos, films, interactive displays and artifacts. It’s an unmissable and unforgettable experience.